Google is known for keeping their services updated with regular improvements and Adwords is no exception. 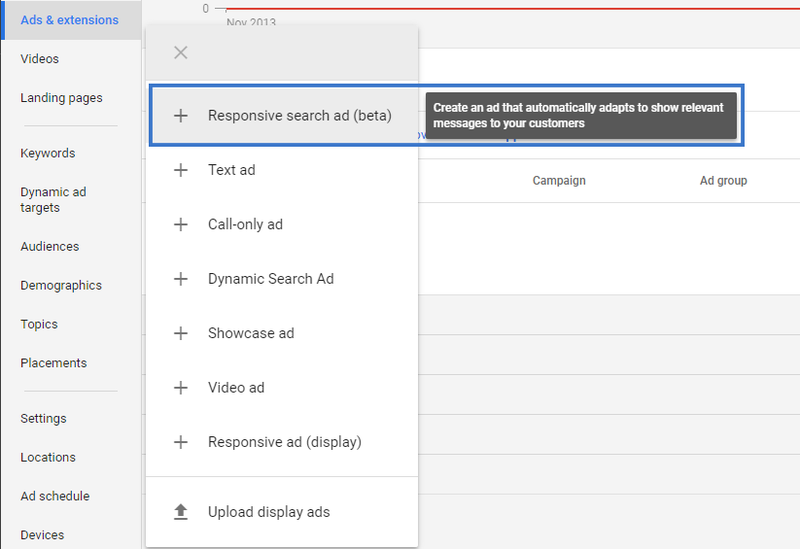 Recently Google rolled out new ‘Responsive Search’ Ads in a private beta that have appeared on a few of our client’s accounts here at Essential. PPC is one of our core services and we believe discussing updates such as these are vital to our business. Firstly, let us discuss the actual benefits for the new ‘Responsive Search’ Ads. 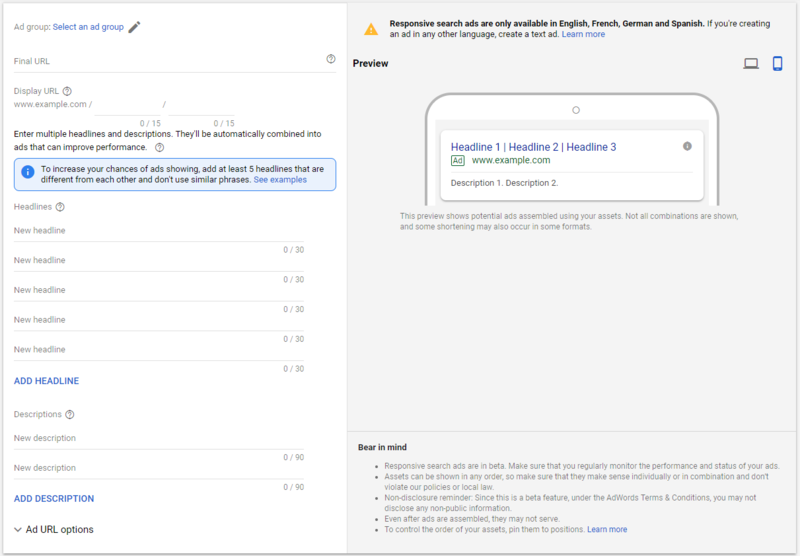 Google has added multiple headlines with the aim to offer a variety to users whilst also implementing automation into what appears when searching. Furthermore, there is now a third Headline that appears in the preview area, this meaning there is now the option to show three headlines instead of just two. The same thing has hit the descriptions area as you can now have two 90 character descriptions compared to the usual 80-characters description. One thing to note regarding the ‘Responsive Search’ Ads is that you will need to look into ensuring the headlines make sense in any other – recommended by Google. Additionally, the more varied they are then this could lead to more benefits due to the automation rule being weaved into the Ads. Regardless, this addition servers a purpose and can be extremely useful if in the right hands. With the new Google Adwords still being in a beta mode, we can hope for more additions that create the setup process even more efficient. It is clear to see that Google is aiming to create Adwords more and more automated than ever before to make it more accessible to those looking into PPC. To learn more about the best practice of responsive text Ads feel free to contact us for our PPC services. We here at Essential have a large base of PPC clients in which we have or currently work with. If you would like to see a glance into the advantages of PPC then feel free to contact our PPC Manager, Oscar: oscar@essentialmarketer.com and we will gladly send over examples of the work we have done along with its success. Did you find this post helpful at all? Let us know with a quick tweet!